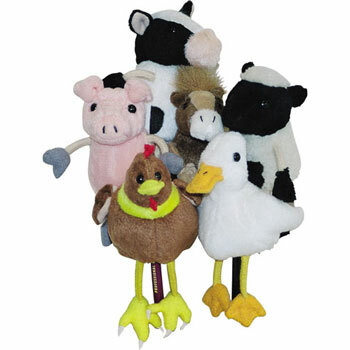 A set of six full-bodied and beautifully finished finger puppets - great for enhancing story telling. These puppets have been designed to fit both children's and adults' fingers. CE marked and safety tested to European Standards. Suitable for children over 12 months. The children simply adore these finger puppets. They are beautifully made and are a great tool in teaching the children names of animals in a different language, all whilst having lots of fun!